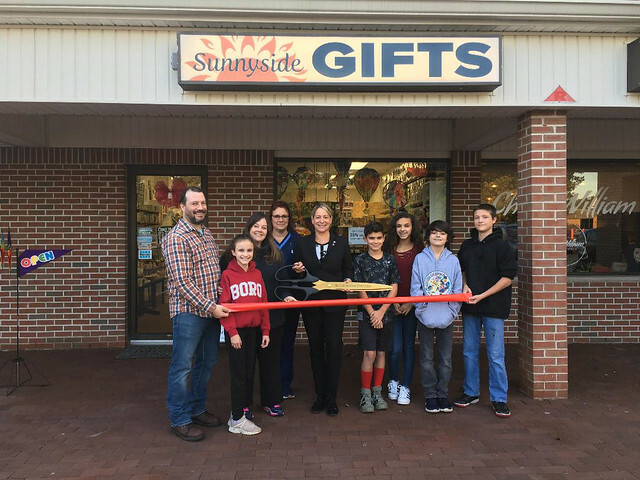 On Wednesday, October 24, 2018 a ribbon-cutting ceremony was held at Sunnyside Gifts in Hillsborough to celebrate the recent grand opening. Mayor Gloria McCauley was joined by David Kois, Business Advocate, and the business owners Dave and Shannon Winters, family and friends. Sunnyside Gifts is a one-stop destination for inspirations and fun gift shopping. Gift collections include metaphysical and inspirational gifts, pop culture collectibles, jewelry, bath & body care, home décor, and more. Sunnyside is delighted to feature unique gifts from local artisan and handcrafted and Global Fair Trade gifts in addition to retail brands. Originally founded as an online gift shop in 2015 (www.sunnyside.gifts), wife and husband team, Shannon and Dave, celebrated the grand opening at 381 Triangle Rd on September 22 with the mission to offer our town positivity and inspiration as a retailer of gifts of all kinds on the sunny side of life. They honor the sunshine found within each person, cherish the gift of life’s unique journeys, and spread joy through giving back in the community and beyond with “Gifts That Give Back” fundraisers. 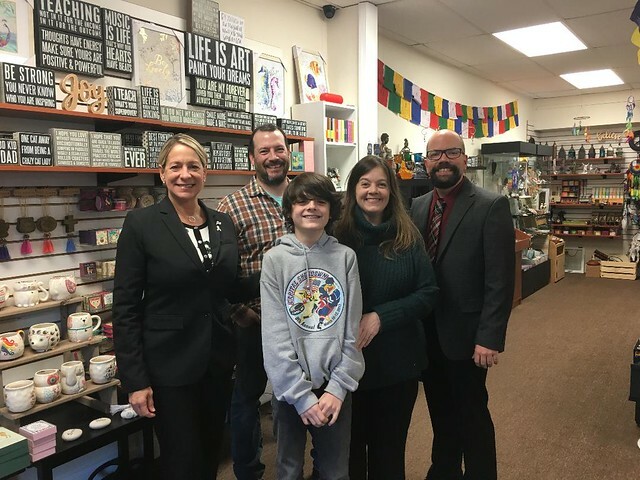 As Hillsborough residents, Dave and Shannon could not imagine Sunnyside Gifts anywhere else and are delighted to offer our community a place to go for positive vibes and unique gifts. The sun is always shining #onthesunnyside and they live true to their mantra, “Be the reason someone smiles today.” You can shop at Sunnyside Gifts in the Triangle Center near Wawa.